German text in Gothic lettering on the backside. 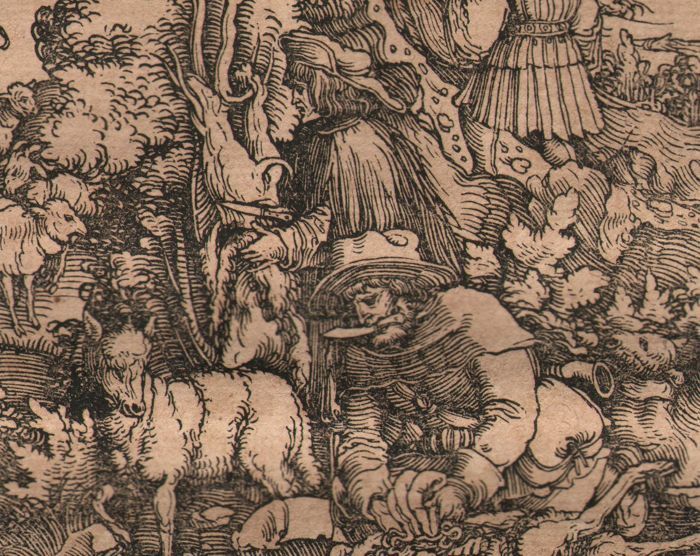 Original woodcut in an early 16th century's impression. 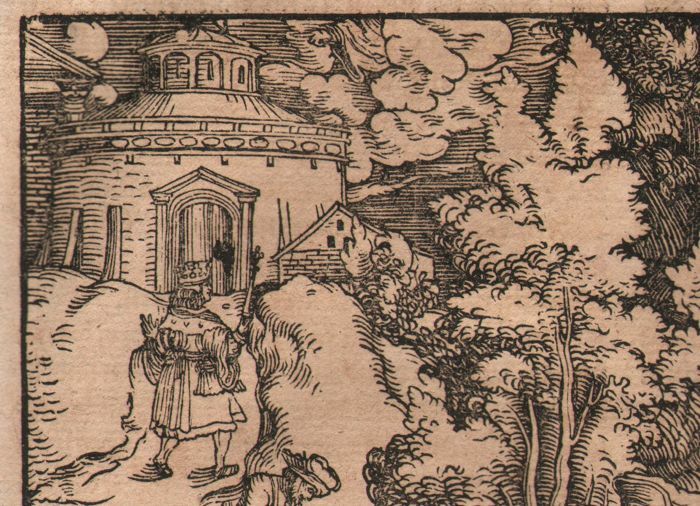 Woodcut made in the 1518-1520 for 'Trostspiegel in Glück und Unglück by Francesco Petrarca. Born in Arrezzo. Italian scholar, poet, and humanist, a major force in the development of the Renaissance, famous for his poems addressed to Laura. From one of Petrarca's most famous books, about the luck and unlucky of human life. Featuring a nice view on the renaissance thinking and living in the early renaissance. His work was often confused with Dürer an Burgkmair. Weiditz trained in Strasbourg and in 1518 he was a journeyman with Hans Burgkmair in Augsburg. Few drawings by him have survived; Weiditz's work fell quickly into obscurity owing to the fact that only two of his woodcuts are signed. 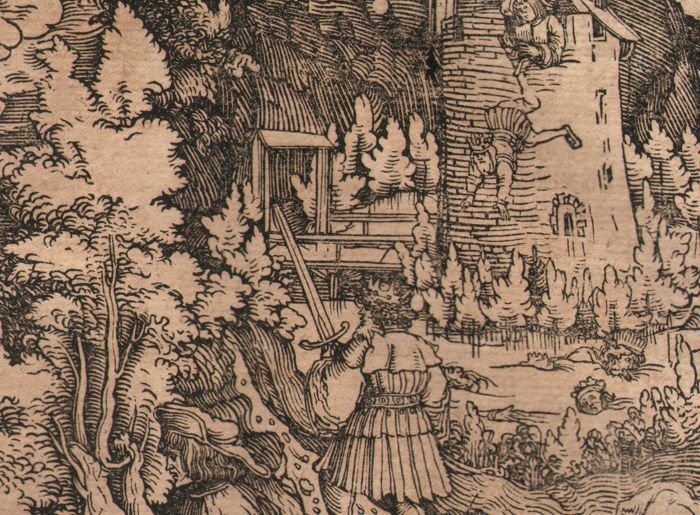 Identification by Röttinger of Weiditz as the 'Petrarch Master', so called after the illustrations to this book. Weiditz's work is still underestimated. 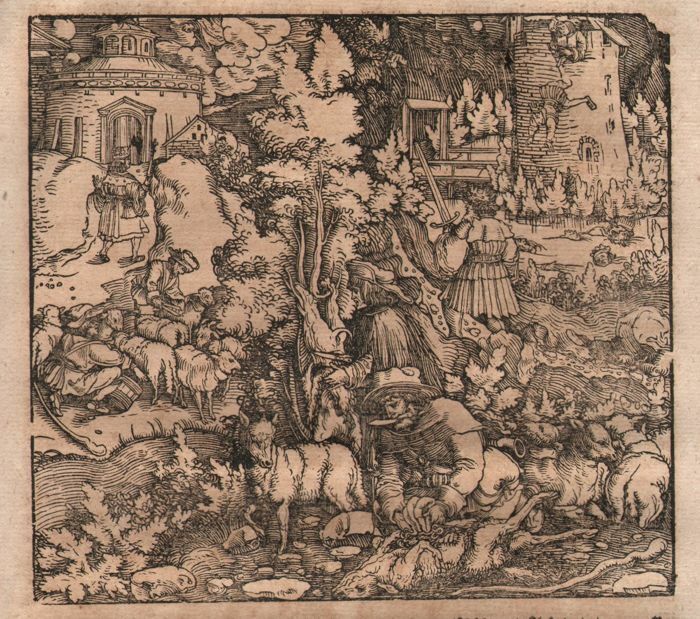 In the quality of his drawing he is near rtooing as his famous contemporary Albrecht Dürer.